The exotic blue jade is a tropical perennial plant. 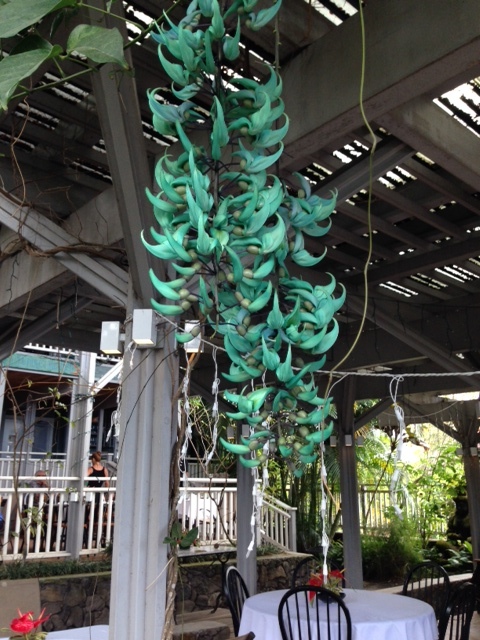 It is a climbing vine with vivid sea green-colored flowers. 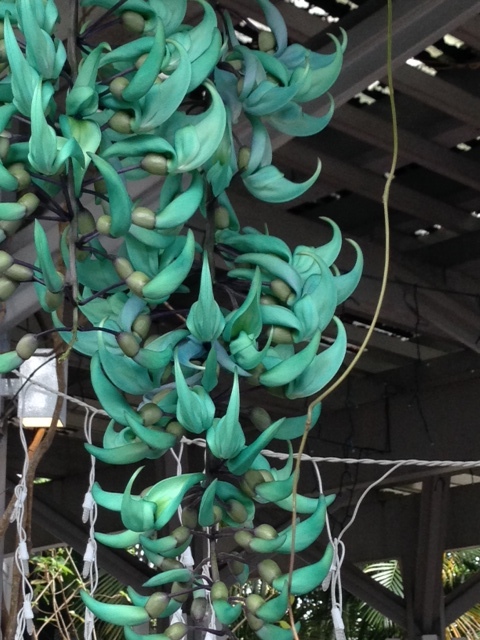 The green-blue unique color makes this plant stand out in any setting. Its flowers, typically two to four inches in length, are sturdy enough to be used decoratively to make gorgeous leis and other floral decorations. Although they are native to the Philippines, they fit in perfectly on the Hawaiian Islands. When you see them, they are a showstopper—one of those flowers to stop you in your tracks.